It IS a big bag! Just like it’s name. Great for travel, retreat, shopping, class or sewing day with friends. Has two pockets that you can customize, long straps for ease in carrying and it’s big and roomy. If you have some fabric you have been waiting to use, such as linen or cotton, The Big Bag by Bodobo Bags is the perfect project! When you sign up, be sure to give the shop your email as you will receive additional info. This class will be held at our retreat center one block east of the shop in the lower level of the IHC Work Med building (385 S 400 E). 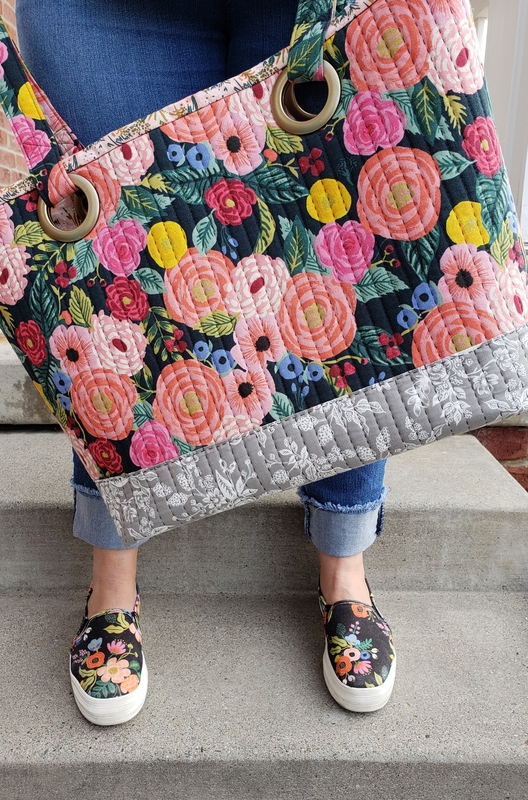 The Big Bag Pattern by Bodobo Bags available at Corn Wagon Quilt Co.